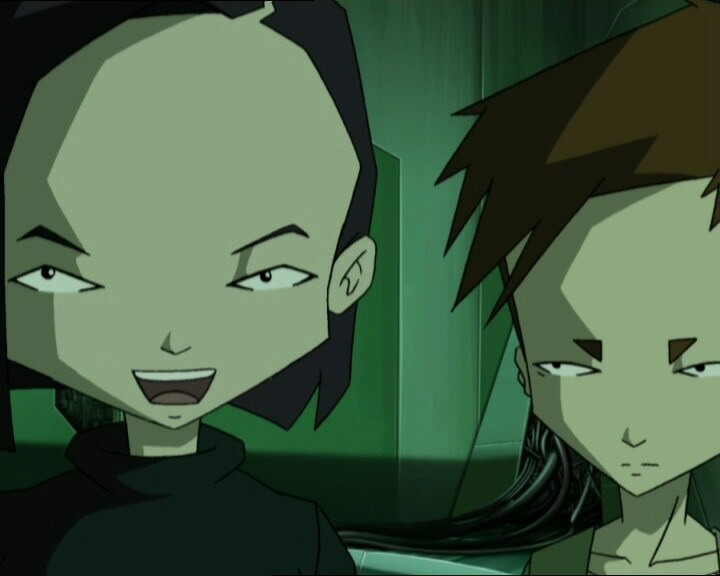 Yumi and Odd are sent to find Sissi and get her back while on the virtual world, Ulrich and Aelita search Lyoko and find a tower with a white halo… Can this have something to do with Sissi? The tower is attacked by Megatanks as XANA tries to deactivate the tower by force… Jeremy is curt: the tower must be protected. At the same time, another tower in the Ice Sector is activated, a definite attack by the AI this time. XANA takes control of a nurse at the hospital, deciding to get rid of Sissi. Odd and Yumi manage to get Sissi out of harm’s way and run to the factory. 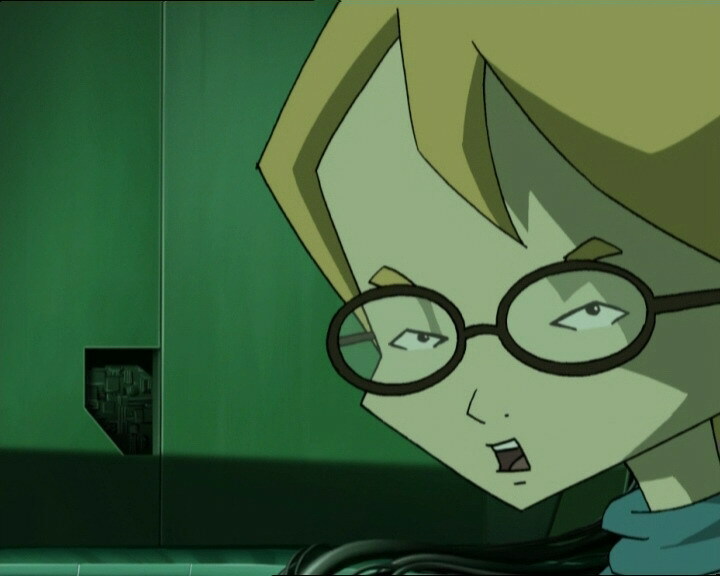 On Lyoko, Ulrich must face off against two Megatanks attacking the white tower together and against Jeremy’s wishes, Aelita hops on the Overbike and drives off to the Ice Sector to deactivate the tower. Yumi and Odd arrive at the factory with Sissi. At the same time, the screeching tires of a car driven by the possessed nurse sound in the distance, coming closer. Odd brings Sissi to Jeremy and Yumi goes back up to “play for time” against XANA’s puppet with dangerous lightning. 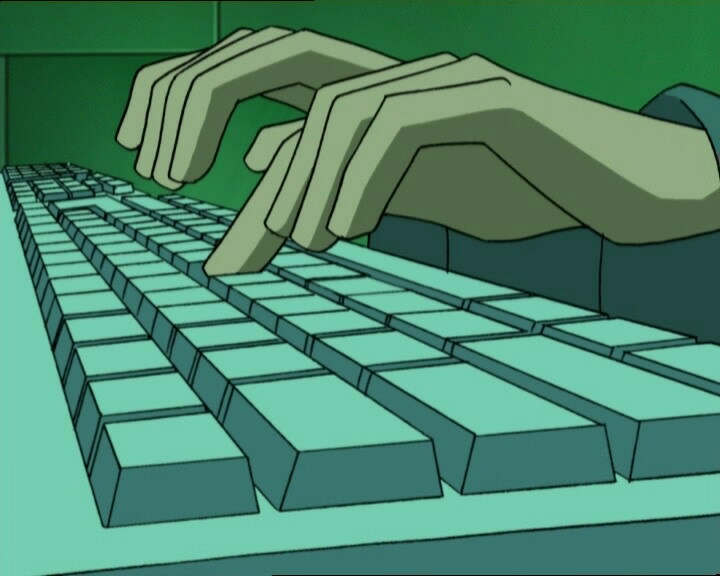 Arriving in the lab, Sissi, still controlled by a mysterious entity, begins to type long, encrypted code into the computer just as Ulrich, after an epic combat against the powerful Megatanks, yields and is devirtualised, leaving the tower unprotected. The deactivation is immediate under the hemispherical lasers. On Earth, the effect is also immediate: Sissi falls unconscious… The tower’s defence has broken. 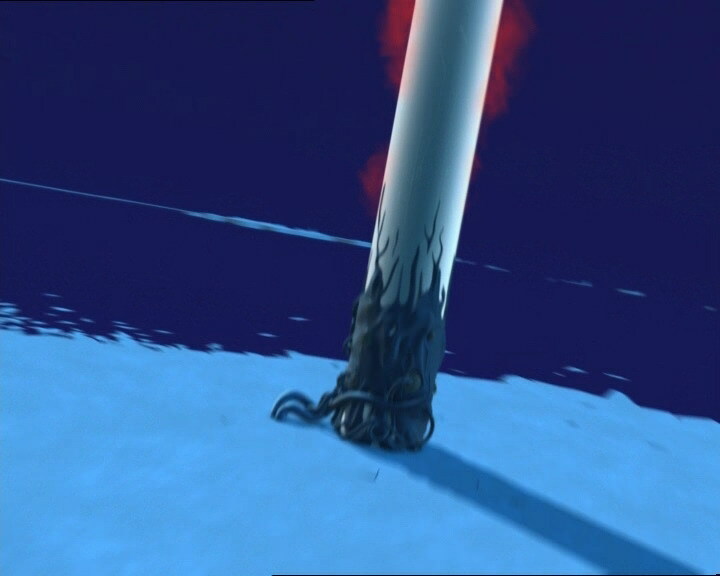 In the Ice Sector, Aelita is cornered by three Krabes but the Scyphozoa doesn’t have the chance to lay but one tentacle on her because Odd makes a sensational entrance, taking Aelita to the tower. 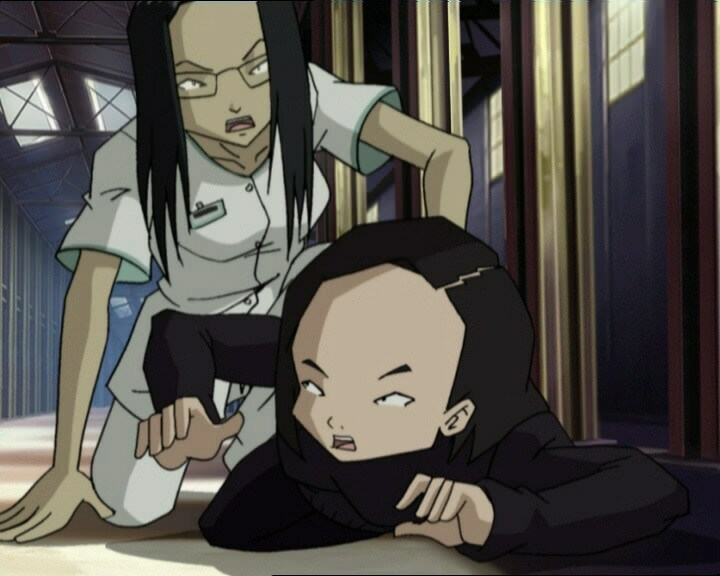 The Code Lyoko is entered and the XANAfied nurse falls unconscious just before killing Yumi right before Ulrich’s eyes. The entity that took control of Sissi and the white tower was none other than Franz Hopper, who wished to help them. - Attack: XANAfy a nurse at the hospital to get rid of Sissi who is being controlled by Franz Hopper and stop her from communicating with the heroes. 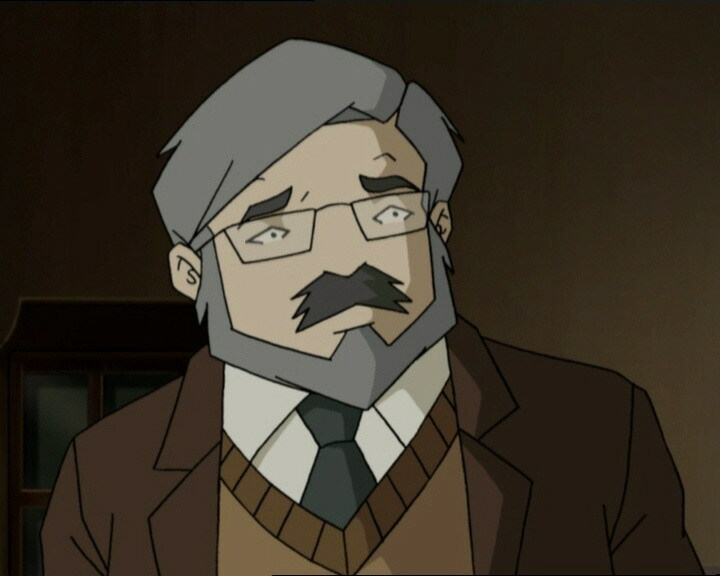 - First tower activated by Hopper, and first direct proof that he’s still alive, surely somewhere on Lyoko. He takes control of Sissi to contact the heroes and present himself. - Second time Ulrich blocks a Megatank laser with his sabre and first time the sabre breaks. - Aelita doesn’t know what bowling is. - Ulrich sleeps in on Sunday morning. - Odd has shot a short film in which he ridicules Sissi and Jim. - When Sissi is possessed by Franz Hopper, she speaks long and incomprehensible sentences! But are they really incomprehensible? He notice that when recording and playing the words in reverse, we find the same message word for word as the one Jeremy plays at the end of the episode! - The principal’s eyebrows are grey when he see him near the camera. 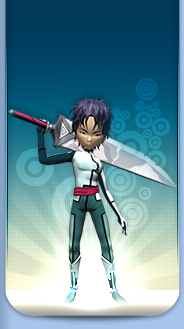 - Aelita’s outfit is reversed when she types in the Code Lyoko. - Odd’s phone antenna is on the right instead of the left when he tells Jeremy Sissi was sent to hospital. - The colours of Odd’s pants are inversed when he sees the ambulance at the entrance to Kadic and when XANA-Chantal arrives at the factory. 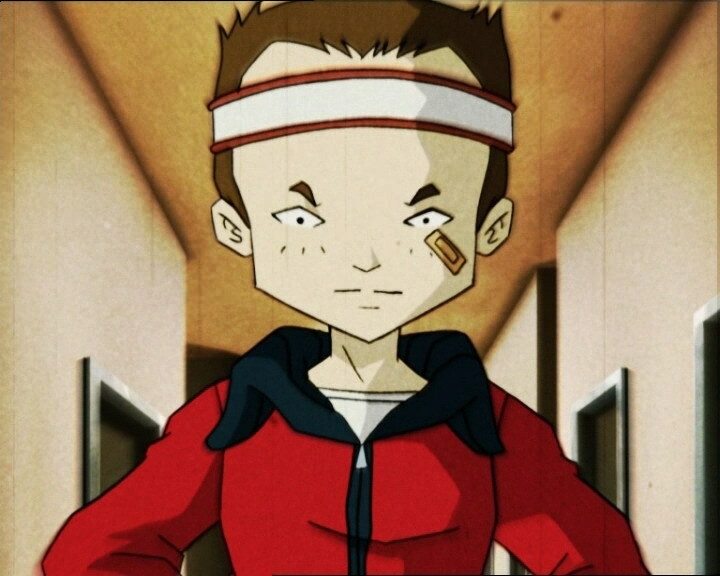 - Odd’s undershirt disappears from his torso when he pulls Sissi from the wheelchair, when he, Sissi and Yumi notice that XANA-Chantal is still conscious after the ambulance fell, and when Jeremy tells Aelita to look out. - The door handle to Jeremy’s room is inversed when Yumi enters to talk about Sissi and when Jim enters to take her to the infirmary. - The marks under Sissi’s eyes disappear before Odd’s short film begins, when she sits on the chair in the lab and before Jeremy tells Odd how many life points he has left. - The lift button on the factory ground floor is red instead of yellow and there are two instead of one when Yumi presses it, and the buttons in the left disappear when the XANAfied nurse holds Yumi against the wall. - First mention of the Kadic News. - First mention of the towers with white halos. - Record beaten by a Krabe who took out 80 of Odd’s life points in one impact! - The Superscan can’t localise white towers which appear in this episode. 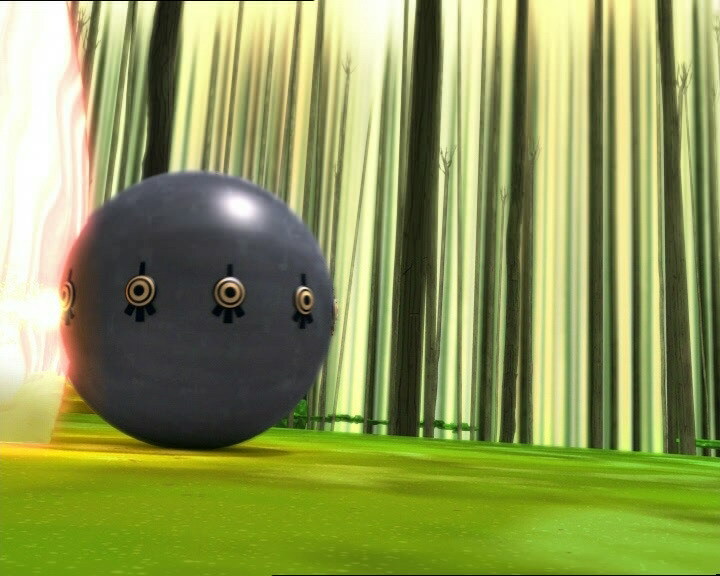 - The Megatanks fire at the tower Franz activated like they did the Way Tower in the forest in episode 25, “Code Earth”. - The ambulance the XANAfied nurse drivers is the same as the ones in 18, “Killer Music” and 38, “Temptation”. - There’s no return to the past in this episode! Therefore, one wonders what the heroes did with the nurse and the damaged ambulance! Victor von Doom, also known as Doctor Doom, is a villain from the Marvel comic series Fantastic Four. He’s an inventor and sorcerer. His powers allow him to control technology and electricity. - Mr Chardin makes an allusion to Charlie Chaplin while talking about Odd’s short film. Charlie Chaplin, full name Sir Charles Spencer Chaplin Jr., was a famous burlesque British actor, director, producer and writer who achieved fame around the twentieth century for his mime games. Jeremy: Even with the latest data we got from Sector 5, I haven’t moved ahead one micron! What if I’m just…just not good enough? Ulrich: Uh-uh, ok, I think I know someone who needs to air out his neurones a little! Milly: Can you sum up the story for us in just a few words for the Kadic News? Sissi: Um…well…that is…uh, it’s uh…love story, and at the same time it’s a thriller! With suspense, and of course it’s got a good dose of psychology, and, and, and it’s very funny! Haha, a real comedy! And uh, quite satirical! Milly: So…you have no idea! Ulrich: How’s it going, Odd? No butterflies yet? Ulrich: Hmph, you’d never guess! Herb: Relax, I’m sure you’re gonna be great! Sissi: Thanks, that’s sweet…uh, but move your hand or lose it at the elbow. Mr Chardin: The short film is, was, and always will be an important art form, which can say as much as a full-length feature! Our first film is by Odd Della Robbia! Jim (played by Romain Le Goff): What’s all this racket about, huh?! Odd: We have to get out of here! She-she-she’s coming! I tell you, she’s as big as her ego! Jim (played by Romain): That’s impossible! You know how big that would make her? I think you’ve lost your senses! Alright, let’s go to the infirmary! Sissi: Oooohhhhh raaaatsss, IIIIIIII juuuuuussst brooooke aaa naaaaiiiiil! Sissi: Uoy pleh nac I. Reppoh Znarf m’I. Won uoy htiw tcatnoc otni retne ot tnaw I. Uoy pleh nac I.
Jim: I’ll take care of this, Mr Delmas. I think you’ve lost your senses. Alright, let’s go to the infirmary. Odd: Oh, poor Sissi! I have to admit that her acting was real electrifying! Jeremy: Sissi, what has gotten into you?! Yumi: Anyone care to join me? Odd: Well, I’m your man, Yumi! Well…you know what I mean! Yumi: Are you thinking what I think you’re thinking? 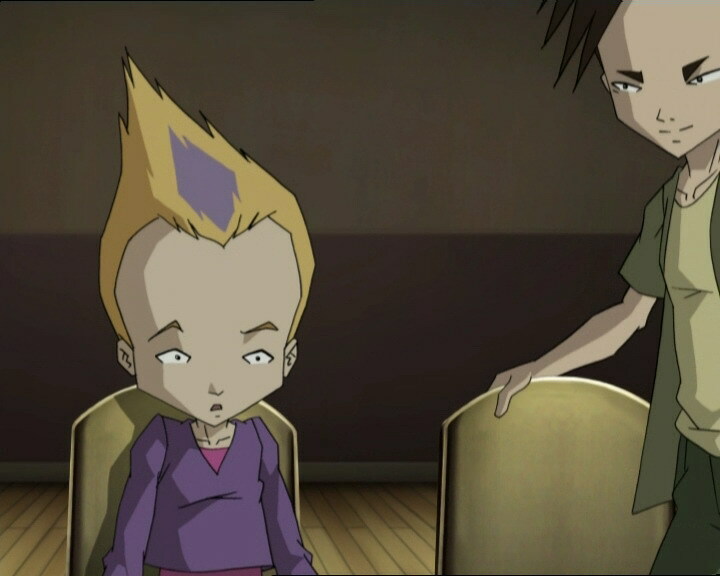 Jeremy: Ulrich, Aelita, everything ok with you guys? Ulrich: To tell you the truth, I have no idea! Has the Superscan picked up an activated tower? Jeremy: No, still nothing. Why? 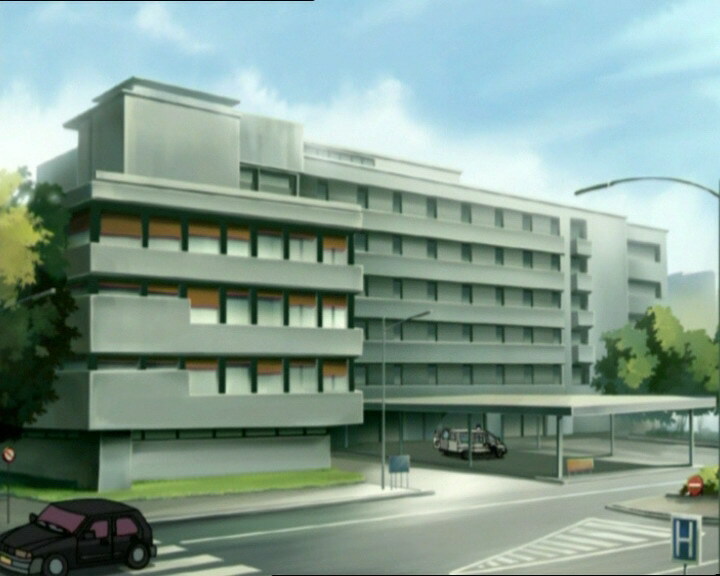 Aelita: Well…hang on, I’ll send you a visual. Jeremy (seeing Aelita’s visual): What the heck is this white tower supposed to mean? Ulrich: I was about to ask you the same thing! Ulrich: Whoa, are you sure? There’s nothing to the left! Ulrich: Feel like a little game of bowling? Jeremy: Forget about it, it’s a bad joke! Ulrich: Sometimes I really crack myself up! Odd: Poor thing, she had hypertension! 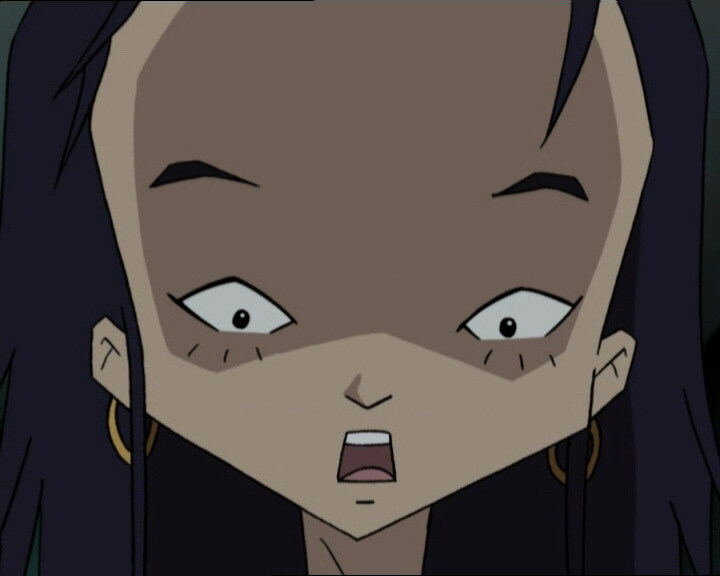 Yumi: It won’t be that easy, there’s a doctor possessed by XANA who doesn’t seem to like the idea! Ulrich: Aelita, stay next to me! Odd: Let’s get out of here, here comes Doctor Doom! Odd: I hope she was wearing a seatbelt! Odd: Yumi, what are you doing? Jeremy: Odd, watch it! You just lost eighty life points! One more hit and it’s game over! Odd: Relax, it’s all part of the plan! Jeremy: Huh? Everything ok, Sissi? Sissi: How do you expect everything to be ok when I’m surrounded by big, fat losers?! Jeremy: Huh…did I miss something? Jeremy: Come on! Tell me! Ulrich! Yes! Odd just offered Sissi a role in his next film! 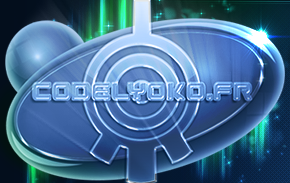 Odd: It’s the story of a girl, driven by a mysterious being, who tries to make contact with humans! All of which takes place in a virtual universe full of danger! Jeremy: What did she say? Aelita: That no-one would ever believe such a ridiculous story! Jeremy: Ahahaha! You don’t say! Jeremy: The computer deciphered all of the lines of code that Sissi spoke while she was spellbound. Odd: So, what’s it say? Let’s hear it! Jeremy: Tonnes of interesting stuff! And a whole lot of elements that are going to help me find the antivirus for Aelita! Ulrich: And…do you know who this mysterious entity who wants to get into contact with us is? Jeremy: Well…take a look. I’m warning you: this is com-plete-ly crazy!